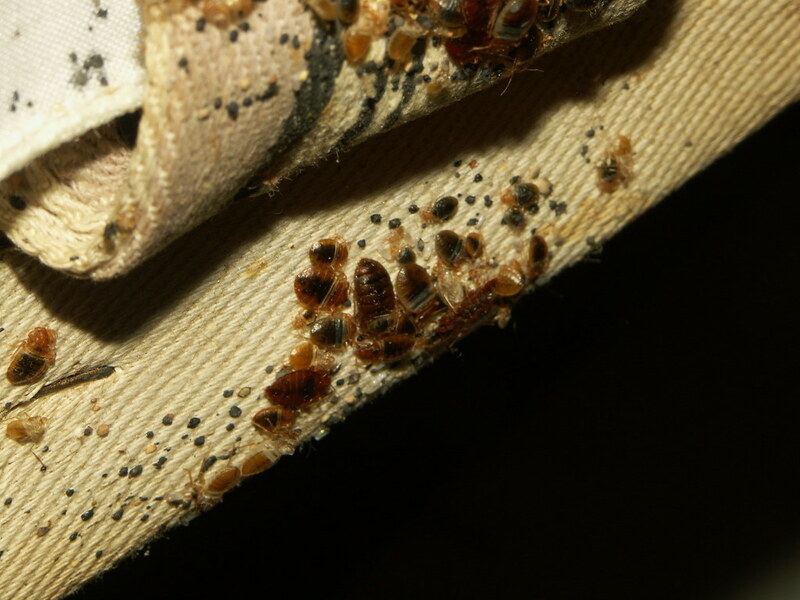 Bedbugs have eccentric feeding habits. They only consume the blood of warm-blooded animals, Yes, humans included. In fact, humans are considered to be the most ideal hosts for these insects. Throughout the course of millions of years, these creatures have evolved from invasive nests species to highly-adaptable insects that are able to flourish in practically any type of environment – including the residences where people reside. Today, these insects are becoming increasingly prevalent in a multitude of dwellings – homes, shelters, hospitals, nursing homes, dorms, and more. As a result of the high-level infestations that are occurring, we here at All Pest feel it is imperative to share some basic facts about these nuisance pests. Individuals in the home may find – upon waking – that there are small, red bumps on their skin. In most instances, these are on the back; however, they may be anywhere on the body. The red bumps are typically welted, itch, and may be in the formation of a straight line. Brown and/or red spots may be present on the mattress, bedding, and/or pajamas. Shell-like structures may be present. Regularly inspect the areas where individuals sleep in the home for the signs of an infestation. Avoid obtaining used furniture as these are often nesting areas for bedbugs. Encase the mattresses and box springs in your home with protective cases that safeguard against bedbugs. Keep your home dusted and vacuumed on a regular basis. Wash all suspected infested items in hot water in order to eliminate eggs and live bedbugs. Ensure all cracks, crevices, and other potential entry points with silicone sealant. Residual-based insecticide may be used; however, it is best to have a licensed pest control technician administer these treatments for the safety of the people and animals within the structure. Have bedbug heat treatments administered in the home. This is considered the most effective treatment for bedbugs and will offer the highest level of success in eliminating infestations. If you have a question about bedbugs or suspect you have an infestation, you may contact us here at All Pest Exterminating today. Not only will we provide you with the most comprehensive information available, we will also be able to set up a home inspection to confirm whether or not bedbugs are present.